We believe that education is a critical requirement for African children. Without education, the people of southern Africa will struggle to protect the vast resources that the land provides. In Zambia, secondary school (high school, 8th to 12th grade) is not free, thus few children attend school beyond grade 7. The cost for a year of secondary school is $950 US which includes: School fees, uniforms, supplies, and boarding. College sponsorship ranges between $2500 and $4000 US (depending on area of study) a year, which includes school fees, boarding, supplies, and a computer and travel to the school at the beginning of each semester. AHF has found sponsors for over 40 students to secondary school, college and trade schools within Zambia and South Africa. It is our goal to increase that number every year. If you would like to sponsor an individual student, we can provide information and a photo of the student, and a personal appeal from them. Once they have begun school, we ask them to communicate with their sponsor at least several times a year via internet, WhatsApp or Facebook. 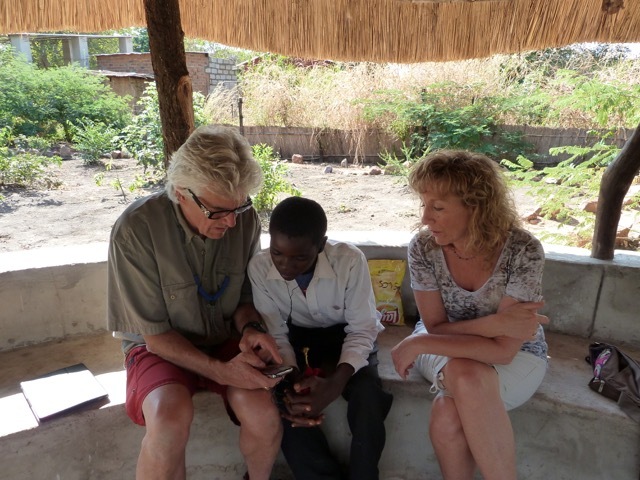 We were introduced to Uyoba Community School in Mfuwe Zambia in 2008. The school had been built by a church in the middle of a very poor village, had 3 classrooms, and a very small teacher’s office/storage area. It supported 300 students, grades 1-6, in a three classroom building with 3 teachers and 3 teacher assistants. The children attended in shifts. They had no electricity, and until 2010, no water. The children sat on the floor. Over the last 5 years AHF has facilitated the building of a new classroom to accommodate the growing number of children, now close to 900 students, with 50% of those girls. In order to allow for the first seventh grade class at Uyoba (since being started by the community over 10 years ago) we helped to increase the number of Government certified teachers from none to 10. AFS also purchased books for all grades to assure the students’ abilities to learn English, purchased desks and brought supplies to the school, and facilitated the construction of new badly needed toilets. WE STILL NEED HELP TO PROVIDE TUITION, DESKS, SUPPLIES, MORE CLASSROOMS, TEACHER, SALARIES AND MUCH MORE. Africa Hope Fund Supports Conservation South Luangwa. This is a community based organization committed to the conservation and preservation of the local wildlife, natural resources of the National Park, and surrounding game management. We provide funds to run the anti-snaring operation, solar flashlights, binoculars, GPS units and other needed supplies. In 2014, Africa Hope Fund was happy to announce the opening of the new Student Center across the road from Mfuwe Secondary School. It is open every afternoon from 2:00-5:00pm when the children have finished school and have had their lunch. The computer lessons are on a strict rotation but the other afternoons they are open for the first in the doors (total number allowed in at any one time is 20 including those undergoing computer lessons). This center opens a whole new world for these students. AHF is now raising funds to help pay for Chipembele Wildlife Education Center's many programs. Chipembele Education Center was built on land given to a couple from the UK by the local chief in order to teach children and adults about conservation, and the history of their community and region. The center contains classrooms and a discovery area containing information about the plants, trees, animals, and insects of the area. Chipembele offers classes to children on a regular basis through the schools in the Mfuwe area. We support Chipembele financially each year. Chipembele Student Center: Anna Tolan, director of Chipembele Wildlife Education Center, asked Africa Hope Fund for the funds to build a Student Education Center across the road from Mfuwe Secondary School (the equivalent of high school). The purpose of doing this was to have a place for the Conservation club to meet after school, and a place to allow students to learn to use computers and the internet. 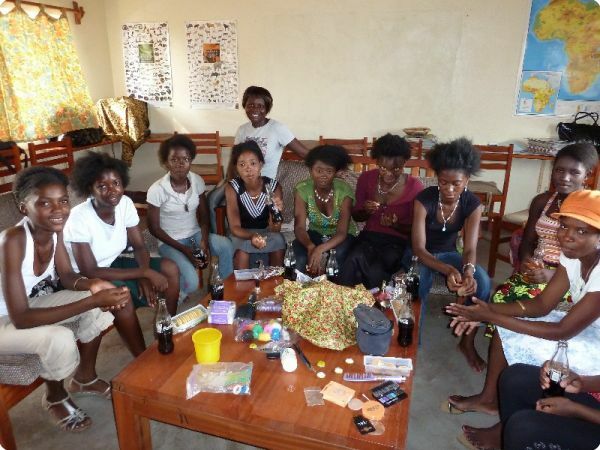 AHF funded this project in 2010 and it is being used by over 100 students on a weekly basis. Several clubs now meet here and classes are given on the use of computers daily. AHF has brought laptop computers over for the sponsored college students as well as the center. Chipembele Internet: Africa Hope Fund funded the cost of installing a satellite dish for internet service, and donated the funds to operate it on an annual basis. This allowed students to use the internet for learning and to communicate with their sponsors. You can help one of our other Zambian students realize their dream. We met Samson when he was 13 years old in a remote rural village close to South Luangwa National Park where he lives with his parents who are subsistence farmers. Sponsors through Africa Hope Fund gave him his first digital camera! Samson's aspiration is to become a wildlife film producer to expose the world to the wonders of his country and African conservation issues. Our generous Africa Hope Fund donors supported Samson so he could attend secondary school, grades 7 through 12, at a cost unattainable to most children in his village. With this camera Samson learned to take videos and taught himself film editing. He is fascinated with wildlife photography and videography and was able to accompany a BBC crew filming a wildlife documentary in Zambia. Through SAE school in Capetown, South Africa Samson received a certificate that would allow him to obtain employment in the film industry with the aim of becoming specialized in wildlife film production. He has now worked with BBC and National Geographic. 100% of your contribution will go to helping make other young people’s long held dream of a career in the wildlife or other careers become a reality.